Breakfast and unlimited WIFI are included in all rates at the ibis Styles Clermont Ferrand République hotel. The new ibis Styles offers easy access and is located close to the train station, the Polydome exhibition center and the Aventure Michelin exhibit ion, as well as the Marcel Michelin stadium for weekends. The bar opens to the outside and is the perfect place to meet up before and after ASM rugby matches. 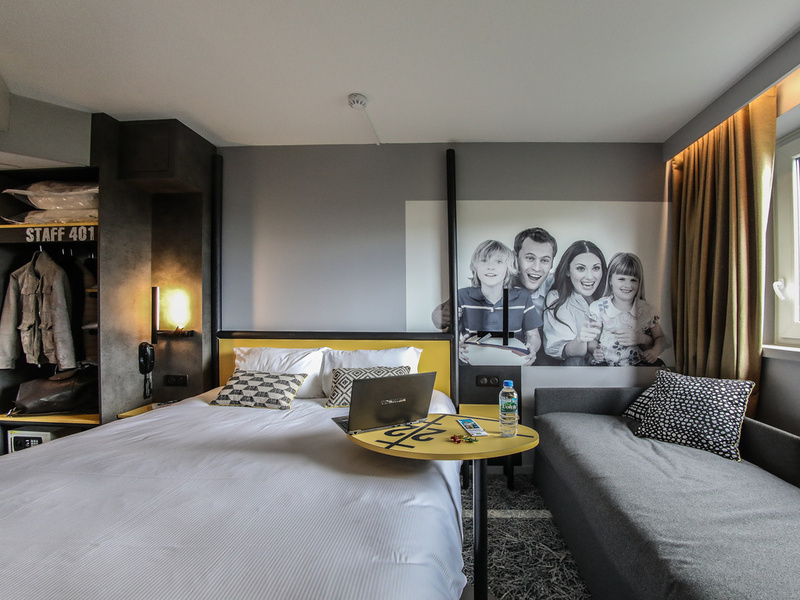 The 55 rooms and communal areas provide a warm welcome in a stylish, rugby-themed atmosphere. L'avenue 97 offers traditional cuisine with set menus from EUR 15.